There are 1940 assisted living facilities in CA and the median cost of care is $4,000. The average rating of assisted living facilities in California is 3.72 out of 5 stars and the top ranked facility is Forever Young Memory Care. With so many beautiful coastlines and a range of weather options to choose from, California is a popular destination for retirees. If you or a loved one is considering assisted living care in California, here's what you need to know about safety regulations, common costs, ways to pay for care, and the services you can expect. California is a diverse state, so it’s likely that you will be able to find a location within the state that appeals to your loved one. There are many different options to consider when it comes to choosing a senior retirement community housing type. There are over 2,000 assisted living facilities in California, and that does not count the hundreds of independent living communities, nursing homes, and other types of housing. The type of senior living community you will choose depends on your loved one’s needs. It’s important to consider not only how independent your relative is right now but also what you will do in the future when his or her needs increase. Here are some of the types of senior housing you might think about when it comes time to move your loved one out of his or her current home. Independent living communities: An independent living community might be the right choice if your loved one is ready to downsize but does not need help with the activities of daily living. Many of these senior living communities offer one or two meals daily, served in a common area. Some also include services like housekeeping, transportation, daily snacks, and activities such social outings. Assisted living communities: Assisted living communities in California are sometimes called residential care facilities for the elderly (RCFEs). These are highly regulated by the Department of Social Services and are designed to help senior citizens stay as independent as possible while also assisting them with their personal and medical needs. There are three levels of RCFEs, depending on the residents’ needs. Level 1 is for people who need minimal assistance, level 2 is for people who need more assistance, and level 3 is for those who need extensive assistance and, sometimes, the services of a nurse or another medical professional. Assisted living care communities also provide meals, transportation, and social activities. Nursing homes: If your relative needs more care than an assisted living facility can provide, then a nursing home might be the best option. These are facilities that offer 24-hour care to residents in addition to meals and social activities. Continuing retirement care communities: Because many people’s needs increase as they move through their senior years, it’s common to look for a continuing retirement community. These accommodate seniors who have a wide variety of needs by having independent living communities, assisted living facilities, and nursing homes all within the same environment. The most common way that they’re used is when someone enters an independent living apartment, then after several years moves into assisted living, then after some time moves into a nursing home. In-home care: If your relative doesn’t want to leave his or her home, in-home care might be an option, depending on their needs. In-home care can include someone coming to help with personal needs (such as bathing, getting dressed, cooking meals, and housekeeping) as well as having a healthcare professional come to dispense medication, check vital signs, change wound dressings, and so on. In-home care is also a possibility for an elderly person who lives with a relative who goes to work each day. Adult day services: An adult day service (sometimes called adult day care) is a program where a caregiver can drop off their elderly loved one for four to eight hours (or more) during the day. These programs offer supervision, social activities, meals, and support. There are two types of adult day services in California: Adult day programs are for individuals who need supervision as well as assistance with personal care. Adult day health care is for senior citizens who need nursing or other medical support but who do not have to be hospitalized or in a nursing home. Some centers also have an Alzheimer's care resource center for those who are struggling with Alzheimer's disease or dementia. Speak with your medical representative about assisted living memory care. Some of the largest national providers of assisted living care have facilities in California. These include Brookdale, with 73 facilities; Sunrise Senior Living, with 52; Atria Senior Living, with 39, Blue Harbor Senior Living, with two, and Holiday Retirement with just one. California’s assisted living communities are well-known for being safe, secure, and pleasant, in general. A survey conducted by the California Assisted Living Association has shown that the vast majority of residents (95 percent of those asked) felt safe and secure in their facilities. Similar percentages of Californians report that they receive the services they need and that they’re allowed to retain an appropriate amount of independence. In general, you should feel secure in your decision to place your loved one in an assisted living facility in the Golden State. Of course, you will want to exercise due diligence to be sure that the specific facility you choose is up to your standards. The median cost of assisted living care in the United States as a whole is $3,750 per month. Assisted care in California is somewhat higher, with a monthly statewide median of $4,275. This differs by specific location. For example, residents in Modesto are likely to pay around $2,823, while those in Santa Cruz will pay closer to $5,125. Los Angeles, Orange County, and San Diego will pay between $4,275 and $4,500, on average. Sacramento residents pay a median of $3,777, and those in San Francisco pay about $4,300. If you live close to a nearby state, you might find that the prices are a bit lower. For example, in Oregon, the median monthly cost is $4,070; in Arizona, it’s $3,500; and in Nevada, it’s $3,400. Due to the high cost of assisted living care in California, it’s understandable that many families will be concerned about how to pay for it. There are quite a few options for California residents. Private funds, retirement funds, or home sale proceeds: The first source of funds that most people look for are private funds. These might come from a retirement account, investments, a savings account, or from the sale of the home. In many cases, these funds are exhausted before turning to other methods of paying for the care. Medicaid waivers: In some cases, California’s Medicaid program, Medi-Cal, won’t pay for assisted living care, only nursing home care, and in-home care. In some counties, however, there is a waiver available for people who can’t afford assisted living services but require it. Some people who make too much money to qualify for Medi-Cal can qualify for partial funding with a Medicaid waiver. Not everyone who is eligible will necessarily receive the waiver. If your loved one is married and his or her spouse is staying in the family home, there is an allowance that the program will allow for so that they do not become impoverished while paying some of their husband’s or wife’s care. Reverse mortgage: A reverse mortgage is a type of loan taken out against the equity of a paid-off home — It's one of many options for using equity to pay for care. These are often more expensive than traditional home equity loans; the benefit is that the loan doesn’t have to be paid back until after the house is sold. 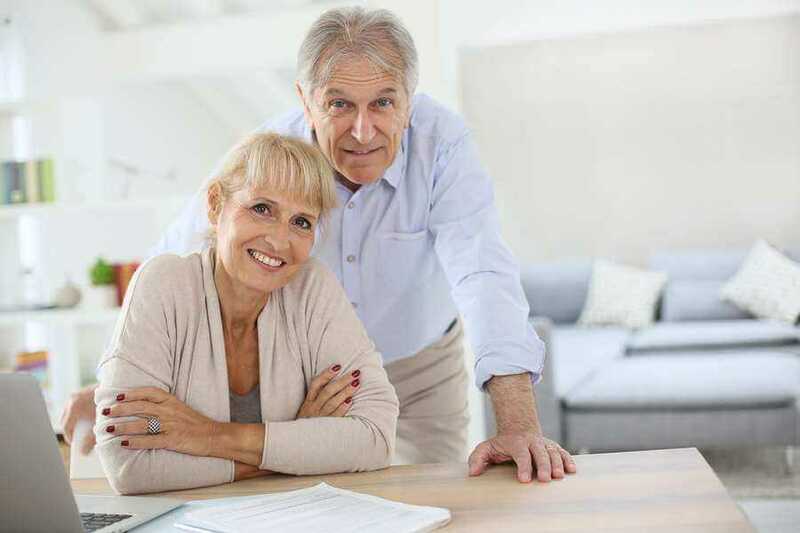 In California, people who are considering reverse mortgages have to have counseling with a federally approved nonprofit counseling agency so the person can make a completely informed decision. Long-term care insurance: The California Partnership for Long-Term Care is a program that the government has put in place to help people find reputable long-term care insurance companies. These companies agree to adhere to strict requirements that the state has put in place to protect consumers. If your loved one has purchased a long-term care policy, it might pay for some or all of their assisted living care needs. Programs for veterans: Honorably discharged veterans might be eligible to enroll in a CalVet veteran home. These vary from independent living communities to assisted living facilities to nursing homes, and they provide a wide variety of services. Aid and Assistance is a federal program that helps veterans; you can find out more at a local California Veterans’ Service Office. Assisted living centers are often called residential care facilities for the elderly. There are three tiers of services offered, ranging from Level 1 facilities, which are for people who need less assistance up to Level 3 facilities, which are for those who need substantially more assistance but who aren’t ready for a nursing home. The assisted living facilities include room and board. Rooms may be private or double-occupancy. Some are units that include a kitchenette. Bathrooms may be private or shared. Services provided include personal assistance, supervision, and planned activities. If your loved one needs medical or dental care, the facility will be able to arrange it. Many residents need help with the activities of daily living such as personal hygiene, getting dressed, and bathing. The staff can also help with reminding residents to take medication and opening pill bottles, arranging for special diets, and monitoring how much residents are eating. For assisted living facilities in the Golden State to accept residents who have Alzheimer's care or dementia, there are certain stipulations and rules that apply. If your loved one is showing signs of Alzheimer's disease, be sure to find out whether the facility you’re considering offers memory care. If it does not, then dementia would be a reason for discharge and you would need to place your relative in a facility that is able to meet their needs. California has approximately 420 hospitals. When you look at assisted living communities for your loved one, be sure there is a hospital nearby for any urgent or serious medical needs he or she might have. California also has many medical centers and doctors’ offices; chances are good that the assisted living facility you choose will be located near medical offices. Find out where the residents are transported to for medical needs and make sure it’s not a long drive. The California Department of Aging offers programs to help meet the needs of senior citizens in the state. The programsofferedvary by county. Anyone who wants to go into an assisted living community needs to have a multi-part evaluation by a physician and the facility’s staff. The medical part of the evaluation will include an overview of past or current medical problems; current medications; any treatments that your loved one has had, is having, or needs to have; and the type of diet that your relative should be on. The other part of the evaluation will be related to how well they can perform the activities of daily living; their mental condition; how they interact socially; and how much assistance and supervision they will need. These evaluations are repeated as needed. If your loved one’s condition changes or their needs increase substantially, they will have another evaluation to determine whether the placement is still appropriate. There are some conditions that might cause an assisted living facility to deny entrance to your loved one or to discharge them. In some cases, another assisted living community might be able to help. In others, nursing home care might be the best option. Assisted living facilities in California are overseen by the California Department of Social Services. There is also a long-term care ombudsman, who can help if there are disputes or problems between a community and a resident (or his or her family). Finally, the California Department of Aging offers a variety of programs and services to help seniors in the state.